NWP Caribbean is Barbados-based photography studio specialising in on-location lifestyle shoots. From weddings, engagements, anniversaries and birthdays to any special occasion, let the team at NWP capture your memories…to last a lifetime. Leaving his academic life behind in 2005, Nigel Wallace decided against pursuing his PhD and instead started to document the world around him with a camera in hand. 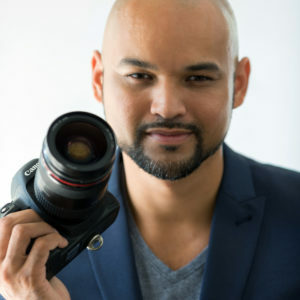 Holding an undergraduate degree in Caribbean History and a Masters Degree in Caribbean Heritage, Nigel is a self-taught photographer with a love for people, the world, and capturing it all on camera. Keen to always keep learning, Nigel transitioned from being a photojournalist with leading newspaper, the Barbados Advocate, into becoming a recognised commercial, portrait and wedding photographer in his own right. With a successful career spanning almost a decade, Nigel has traveled the world with his camera in hand, documenting its beauty with the photojournalists eye for realism, and the artist’s need for individual expression. Copyright © 2010-2016 NWP Caribbean. All rights reserved.